This abominable mashup of Swedish and Russian engineering puts out 1,700 pound-feet of torque. This decrepit Volvo PV544 has been given new life with the addition of a massive 38.88-liter diesel V-12. Built by Swedish engineer Victor Jönsson, and detailed in a series of forum posts, the Volvo has been a special project four years in the making. Jönsson started this build by purchasing the giant engine from a local military museum. Soviet-designed, the diesel power-plant was first used in the post-World War II T-54 Russian tank, and this particular engine came from a "Stridsvagn" Swedish military vehicle. The V-12 was state-of-the-art in its introduction, as it features a water-cooled aluminum block, a dry sump system, dual overhead camshafts, and four valves per cylinder. Output is about 520 horsepower at the crank, giving it a power-to-displacement ratio eclipsed by the original VW Beetle. That figure is all thanks to the engine's low redline of 2000 RPM. When you're driving a heavy steel tank, torque is all that really matters, and this V-12 comes with 1,700 pound-feet. That's enough torque to tear any normal drivetrain asunder, so Jönsson reigned the engine in by mating it to a custom-made planetary gearset that both multiplied drive speed, and reduced torque output to a tamer 500 pound-feet. To carry the V-12, he fabricated a 20-foot-long steel frame, with GM heavy duty truck axles and suspension mounted on either end. Power is transferred from the planetary gears to a BMW-sourced ZF five-speed manual transmission, then out to the GM differential. The planetary gearset created by Jönsson. 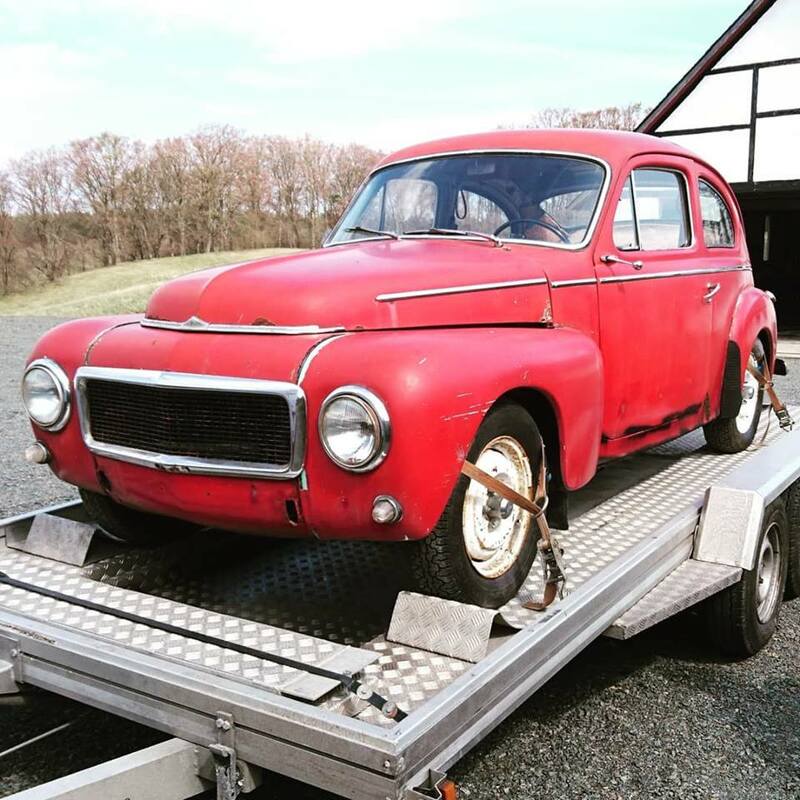 Two years into the project, Victor Jönsson finally found a carriage for this beast: The body from a rusty 1960 Volvo PV. 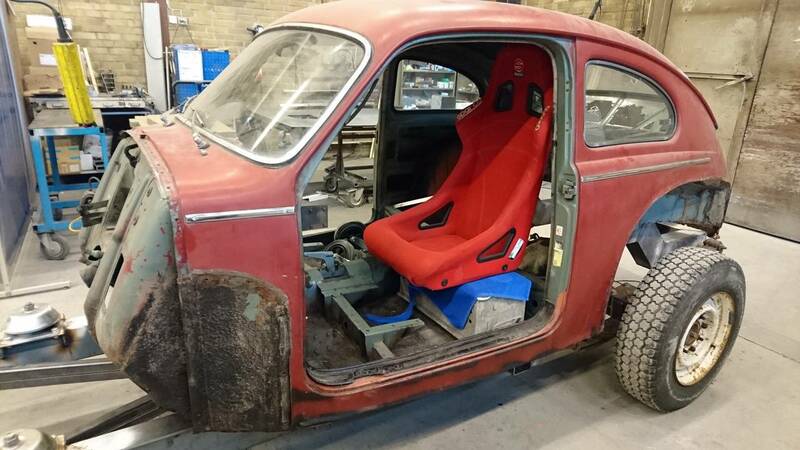 He removed and sold off basically every original part, aside from the steering wheel, and chopped up the car's front clip to make way for its new engine. He then mounted the shell on his custom frame, and ended up with a vehicle that looked like it could star in a European Mad Max spin-off. After a couple more years of tinkering and tuning, the Volvo tank project now runs and drives, and has made some special appearances at Swedish car shows. The Drive contacted Jönsson to find out why someone would even bring such a monstrous machine into this world. "I started the build because tank engines provide a lot of pretty cheap power (although the build didn't end up being that cheap,)" he said. Most people who want cheap power just go with a small block V-8, but to each their own. You can see more of this build over at its Facebook and Instagram pages.